Jeaninne’s Bio: As well as her writing history, Jeaninne is proud of her educational accomplishments. 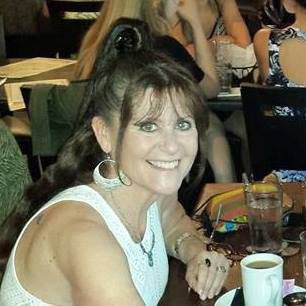 To support herself through college for a Bachelor of Science in Educational Psychology, three teaching credentials, and a Masters degree in Special Education, Jeaninne worked as a waitress, traffic school instructor, aerobics instructor, radio talk show disc jockey and acted in community theater. She is especially proud of receiving Teacher of the Year for California Continuation High School Association (1996-97); and, three separate awards for Teacher Who Makes a Difference (1989, 1992 and 2011). Jeaninne wrote and received grants for hiring a counselor for her Special Education Students (1991-92); and, she funded a Latino college scholarship program she created called “Lincoln Hermanos Mentors.” She raised enough college funds for 50 Latino college-bound young men (2005-2014) who mentored at-risk Latino elementary boys. Writing gives Jeaninne an outlet for her passions where she hopes to continue affecting others. WOW: Congratulations on your first place win in our Fall 2017 Flash Fiction competition! What inspired you to enter the contest? Jeaninne: My inspiration for entering the Women On Writing 2017 Fall Fiction contest was the way the online site is presented. I so appreciate the positive way women are celebrated here. The pictures, the stories, and the easy way to navigate this page proved my initial feeling that all the women who enter have important stories to tell. In this climate of “Me Too” infiltrating our society, I am proud to be among the women who have their work displayed. Women have many ways to share their personal stories and their worth. Writing, for me, is the best way to send the message of equality and inclusion. WOW: Thank you for your kind words about WOW. Can you tell us what encouraged the idea behind your story, "A Desert Rose?" Your previous contest entry that won an Honorable Mention was about the Holocaust, and this story is about border control/immigration. Jeaninne: I wrote “A Desert Rose” as a love letter to all the brave people who try to find a better way for their families. My roots in the Mexican culture go deep. I grew up in the Southern California town of La Habra, which is now mostly Hispanic. The first-generation Mexicans with whom I grew up are among the most loyal and lasting of all my childhood friendships. I taught in a bilingual school for the last 13 years of my teaching career; and, I met many Mexican families who were torn apart by our broken immigration system. When I learned Spanish in my later years, I spent every summer in Mexico to use it with native speakers. What I found in Mexico was more important than learning a second language: I found other parts of me that I have been missing all my life. I know now my ancestors go back to Mexican roots, and I feel at home when I am there because the people live close to God and the earth, taking nothing for granted. It is possible to be in love with two countries: Mexico is my soul; America holds my freedom to become all that I can be. Jeaninne: Interestingly enough, I just stumbled into flash fiction within the past couple of years. I have written and published many essays and longer short stories, as well as my children’s book “Manuel’s Murals.” However, flash fiction is like condensing a week-long, ideal vacation into one glorious day, never to be forgotten. For me, great flash fiction consists of memorable characters who experience a drastic change or ‘ah-ha’ moment within a limited amount of words. A good short-short story must have a beginning, middle and end; and, it must move the reader emotionally in some way. I never want my readers to forget my little stories because I want them to see our world a little differently after they have read them. WOW: You have many educational and professional accomplishments including Teacher of the Year and several Teacher Who Makes a Difference awards, and you’ve created and raised funds for several important programs. What messages do you hope to impart to your students, and to others in the community? Jeaninne: I always say, “I could die tomorrow knowing I have made a difference.” I say that because of my educational accomplishments and the effect they’ve had on hundreds and hundreds of my students. Whenever, I run into an ex-student, or communicate with him or her on social media, each student has something in particular they took from my classes and my teaching style that they have never forgotten. I guess I am proud of giving my students, and my community, the indelible truth that knowledge and hard work will give you a happy and meaningful life. I grew up poor; therefore, I worked even harder to attain the life I dreamed of in my youth. I have never let one student fail in any class because I went to the mat with each one of them to pass by the sweat of his or her hard work. When I didn’t give up, neither did they. WOW: Thanks so much for chatting with us today, Jeaninne. Before you go, do you have any tips for our readers who may be thinking about entering writing contests? Jeaninne: I love this question about tips for others who wish to enter a writing contest. What has inspired me to enter contests is all the hard work I have learned through writing classes, conferences, writing groups and writing retreats. I have spent years honing my craft with others in order to see my work more objectively. I wouldn’t even think of entering unless I have put in the time and sweat to become a better writer. One needs more than parents, friends and neighbors to read and critique one’s work. One needs to be torn apart at the seams by successful writers, publishers and editors, so that the journey to sew oneself back up is liberating and true. And lastly, I wouldn’t enjoy the process of writing so much if I weren’t a reader. I read as much as I write because words give me so much joy, and I need to see them presented in a myriad of ways. I was reading way before I took up writing. Good books give me my imaginative wings on which to write my own stories. Thank you, again, for this wonderful opportunity to share my heartfelt gifts with others. I am honored to be among all of you. Just noticed that the links from the title lead to the second-place entry. Marcia--Thanks for doing the interview. Jeaninne--I read your story. It didn't have the same ending, but your story reminded me of Arlo Guthrie's song "Deportee." The same loss of life and potential. The links to the winning story are fixed! "One needs to be torn apart at the seams by successful writers, publishers and editors, so that the journey to sew oneself back up is liberating and true." <- Love that!! I fully believe in immersing myself in writing groups, classes, conferences, etc. I like to put money back into the industry because it's been so good to me. Thank you, Sioux and Angela, for your input. We are all so connected by our words and experiences. I am honored that you would take the time to read my work. I feel so blessed to be a part of this tribe of women who continue to inspire me every day.